Floods are notorious for causing extensive (and expensive!) 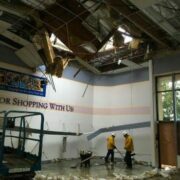 damage to businesses and homes. They can cause sewage to back up into houses through drain pipes and ultimately create serious health hazards. 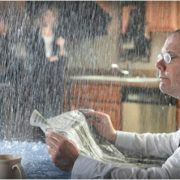 While the majority of insurance policies cover water damage, most homeowner and business insurance policies don’t cover sewer backup. Specific sewer backup coverage must be added to the policy. Fortunately, sewer backup insurance coverage doesn’t cost much – around $50 annually. If your business is covered by a commercial pro perty policy, don’t assume that Water leakage as a covered peril includes sewer backup. Sewer backup is a totally separate peril. Exclusions are provisions in an insurance policy that eliminates coverage from certain types of risk. In effect, exclusions narrow the coverage of your insurance policy. Water exclusions in typical commercial property policies consist of several parts, one crucial portion applies to sewer backup. Sewer backup exclusions prevent the coverage of loss / damage from water that overflows or are discharged from a sewer / sump pump / sump / drain or other related equipment. 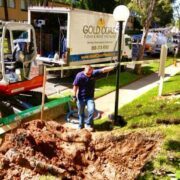 This simply means that your policy won’t cover property damage arising from a backed up or overflowing sewer. In most property policies, the water exclusion clause is subject to an anti-concurrent causation clause. This clause takes out damage coverage caused by a sewer backup even if another cause (a covered second peril), contributes to the loss. Say, a wall and a floor are damaged by sewer backup from a clogged pipe and ends up damaging an electrical switch which results in a fire. The fire then burns the wall which had been damaged by the sewer backup. So now your wall is damaged by a non-covered peril (sewer backup) and a covered peril (fire). Because of the anti-concurrent clause, damage to your wall isn’t covered. Until recently, no ISO (Insurance Services Office) endorsement was available for sewer backup coverage. But many insurers offered coverage through endorsements (a document attached to an insurance policy that amends the policy). In 2012, the ISO finally released Discharge from Sewer, Drain or Sump, an endorsement that insurers can use to cover sewer backup. Insurers may continue to use their own endorsements. But others will most likely switch to the new ISO endorsement. What does the ISO endorsement include? The ISO sewer backup endorsement includes physical loss to property if the loss is caused by water discharge or waterborne materials from a sump, drain, or sewer. For this loss to be covered, it is necessary for the sewer, drain, or pump to be located on the premises listed in the endorsement. 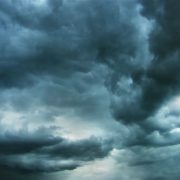 Does your property policy cover business interruption? If so, you can extend this coverage to include sewer backup. This option allows you to cover income losses or additional expenses incurred because of a shutdown. The shutdown, however, must be due to physical damage to property caused by sewer backup and must likewise be covered by your policy. What does the sewer backup endorsement include? FLOOD – Sewer backups caused by waves, floods, tsunamis, and other listed perils in the water exclusion are not covered. But not all is lost. Sewer backups due to flooding can be covered by flood insurance. 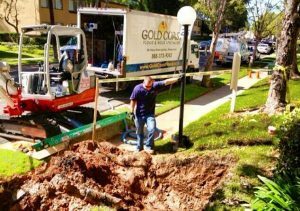 POOR MAINTENANCE – If the cause of a sewer backup is due to your failure to regular maintenance, you aren’t covered. For instance, if you weren’t able to remove roots from a sewer pipe, you aren’t covered. POWER FAILURE – If the sewer backup is caused by a faulty sump pump (caused by a power outage), you aren’t covered either. If you want power failure to be included as a peril, make sure that your policy covers utility interruption. 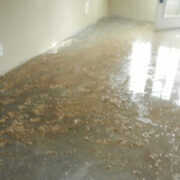 REPAIR EXPENSES – The costs and expenses associated with repairing the sewer, sump pump, sump, or drain are not covered.